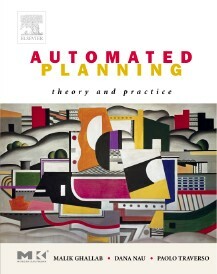 "With this wonderful text, three established leaders in the field of automated planning have met a long-standing need for a detailed, comprehensive book that can be used both as a text for college classes—complete with student exercises—and as a reference book for researchers and practitioners." The cover art is a reproduction of Le grand remorqueur (The large tugboat), painted by Fernand Léger in 1923. The original is at the Musée national Fernand Léger.